Why not give the player specific objectives (delegated by the commander or commander AI) and then only display markers related to this objective (and maybe all other markers in 25% opacity grey). Then you could also add a hotkey that toggles this “focus-on-objective mode” on and off. I like this idea, it would also go hand in hand with the commander being able to mark specific targets. In fact, an extension of this in battles could also be increasing priority (and therefore more visible icons) of more successful players. So a player with lots of kills in a lifespan will gradually rank up to a high priority target. It could lend a subtle balancing effect to the game. More feedback from ED forum. @Inovaeflavien I am still getting weird client stutter in high orbit around Aresthia. It doesn’t happen with any of the other worlds. Is there something different about that planet? I looked at the frame graphs while it happened (unfortunately I don’t have a pic of them) but I remember the no. lights and the one below it sharply increasing on approach, causing the time to render to keep spiking. The planets should all have the same performance. If you notice a sharp increase of lights, then that means you just came into range of an installation or a station ? Okay, ran it again and compared to Sarake for the sake of a performance benchmark. I ran an approach on both planets and orbited. Now that you mention stations, it’s possible it could be something to do with that, although I was not close enough at any point for them to show up on my screen as actual objects. I deliberately orbited within the vicinity of stations on both Sarake and Aresthia and here are the graphs. I should also point out I am pushing my limits of performance by running at Extreme settings on a GTX 1060, so this is possibly not noticeable on other setups. 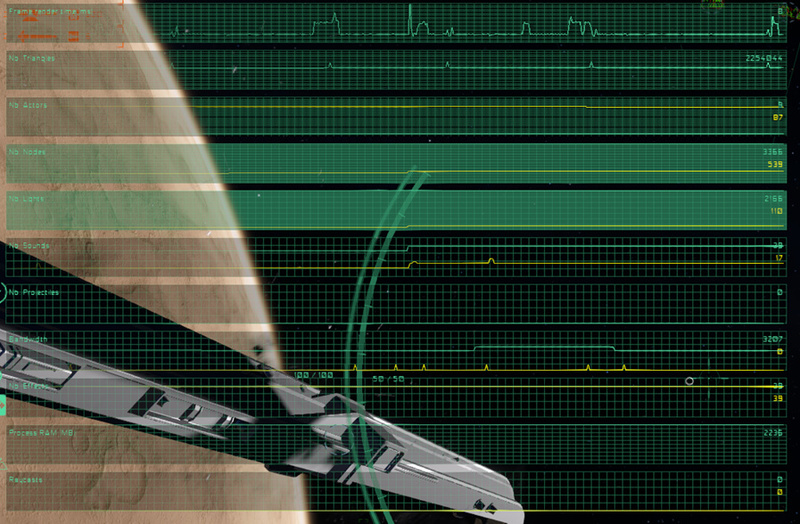 Hopefully it’s just a rogue station effect that might need a little tuning. Edit: I can’t remember when I first saw this effect, but it has definitely been there a while. More than a few patches back. If you’re more than 1000 Km from any station / Installation, then yeah, the number of lights on Aresthia seems out of hand. But the framerate still seems to be okay, so the problem is really the spikes. My theory is that you’re in range of an installation ( maybe a factory on the planet surface ? those have a lot of lights too ). 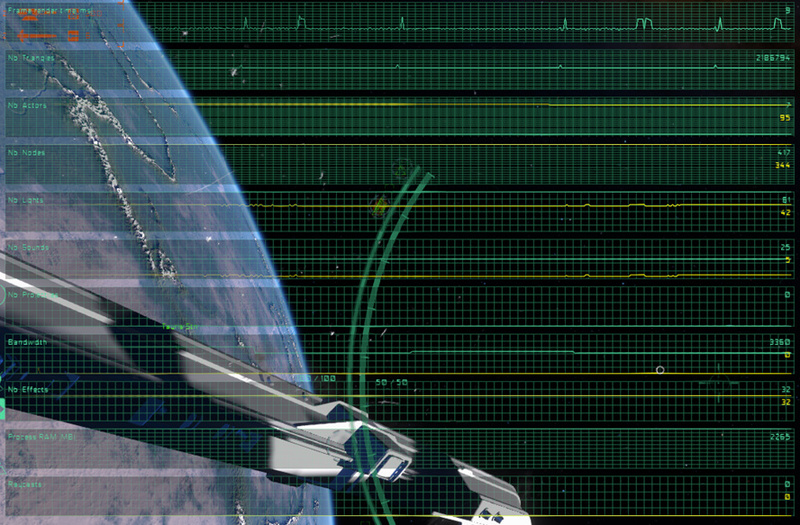 Running in extreme increases the culling / rendering range, so it’s possible that everything is visible from orbit. I think i have said that before, but the “lose random subsystem to energy weapon damage” - mechanic needs to go. It is absolutely anti-fun and not skillbased whatsoever. @inovaeflavien I just spend an hour (I think it is more by now) fiddling around with different input profiles. It all started with me wanting to create my Dream “Hybrid” Setup with switch-over. Now having waited long enough for that bug that hindered me to do it to get resolved I decided to use third party tools. Halfway in the process I noticed an error Message reading “Event ShipYaw is an axis, but does not have any secondary axis key signed to it”" which I have never encountered. This was due to me entering something manually into the xml because I was using two vjoy devices. Anyway, I figured the mapper actually had different naming model for vjoy 2 and I just had to map them using the mapper … I think I’ll just do that from now on, it seems to work pretty well. This error made me curious and realise that I didn’t even test if the bug still persists … so I went back to my original Hybrid and other Profiles and went back to basic with just one device and no external tools. I noticed that now, when “view” (Freelook" is active. Pitch and Yaw are disabled. No matter what configuration I tried. And I tried about 8. With and without Secondaries. With different Input method. With some keys set and other not. As soon as I pressed that view key, pitch and yaw stopped to work even if ship controls and view controls were on two different devices, mouse and joystick, pitch and yaw still ceased to function as soon as I press the view key. Ok. I got it to work this way. Just no way to switch it over ingame. It seems that either you have “freelook” switch and have to live with disabled pitch and yaw during freelook or freelook is always enabled. Is that intended? When can we expect to get back the option to fly around in 6DOF with an option to switch between freelook and fixed again? I tried to work around it by constantly recentering the view … but the recenter gets aborted if the view is changed. So that doesn’t work either. I though I could make this work with external tools but guess the game distanced itself even more from the possibility since the last time I struggled to get my dream setup going. At least it appears this bug has gone … because the whole possibility of “switching over” and reproducing it has gone, ha. I wouldn’t call that solved though. More like terminated. During my testing I found an interesting mode … that is “Virtual Navigation Cursor” with freelook always enabled. It’s like the pilots head is leading whatever he tries to steer towards. 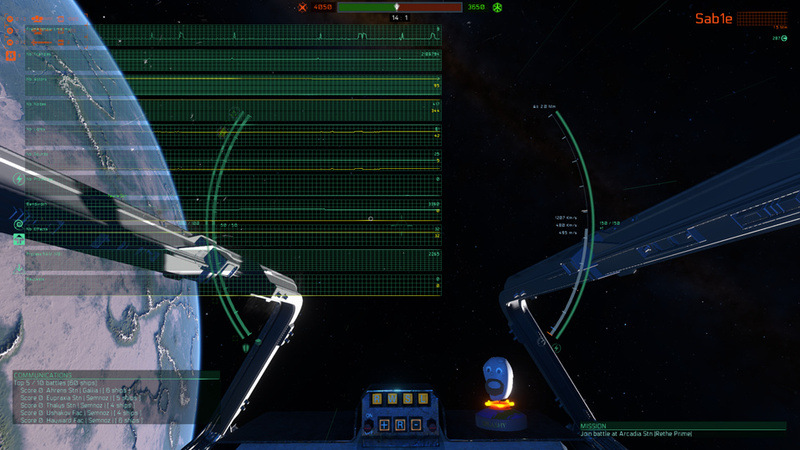 I’m sure it isn’t practical to pull the most optimal manoeuvres like that but it sure looks very smooth and pretty. It’s extremely liberating to have an instant response to ones inputs. I looked at this again today and found there is a way to have the functionality I want by implementing the free-look switch externally. Enabling and disabling the respective axis. I jumped into the corvette and it was great! Will try the destroyer now. Exciting. By the way (and I know I keep bringing this up every so often, but I like to remind people that they exist), I think we should bring back the rings at least for one of the Beta weekends - there’s now a whole load of players that haven’t seen that yet! It’s what got me truly excited and would be great for screenshots. I know there’s technical hurdles to overcome with it as mentioned previously, but just bringing it back for one weekend or something would be a nice taster! It was a killer selling point of some of the earliest Infinity test videos. Anyone else agree? I thought you were going to say fluffy white (layered) volumetric clouds there for a second. They get brought up every so often. Very new to this gaming but old in physicality:) That said are there navigation controls inside the ship that function? I write fiction. Don’t know exactly what you mean, but if you are referring to the player being able to interact with the cockpit model and screens, then no. 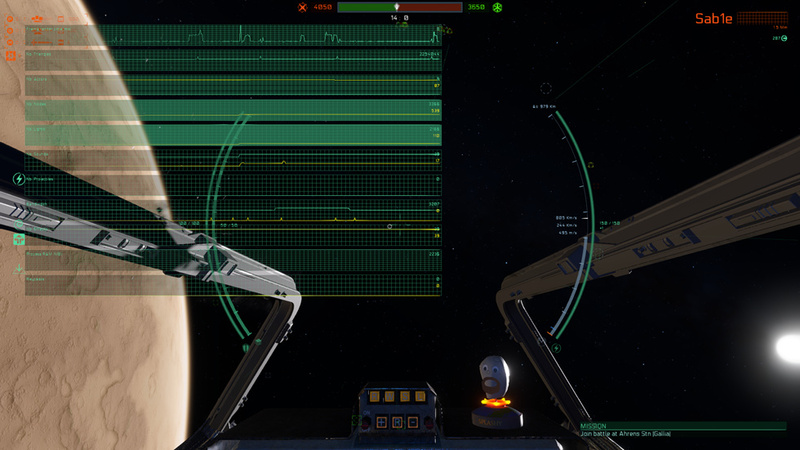 The cockpit model is static, though there *may* be a chance that the screens will one day display some ship information, although probably not until well into beta. Hope this answers your question!